"Ball Of Confusion" is a single from B.E.F’s album "Music Of Quality And Distinction Vol.!". "Ball Of Confusion" is actually a protest song, originally to protest against the Vietnam War, Nixon’s government and drug addiction. However Heaven 17 wanted to cover the song again and Tina was the perfect singer for it. If you read the lyrics you see that the singer finds the world very confusing. Heaven 17 or B.E.F. was a group who mostly worked with psychedelic music and synthpop music. They were making an album with all kinds of covers and Tina was invited as well. 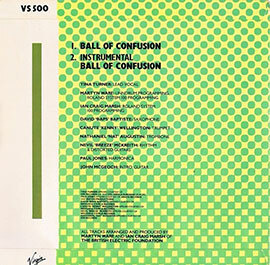 "Ball Of Confusion" became the opening track of the album and was released as single as well. Tina peaked at number 5 in Norway. The song draw the attention of Capitol Records and Tina was back on the label again to produce songs with Martyn Ware. She also recorded "A Change Is Gonna Come" and "Havin A Party" from Sam Cooke and Al Green’s "Take Me To The River". After the single had a small success in a few countries and had some airplay, Capitol dropped Tina again from their label. Roger convinced Capitol again to let Tina record some songs with Martyn Ware and they said "Take her away and take this last shot". 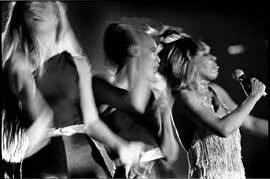 Tina did and a year later in 1983 they’ve covered and produced the single "Let’s Stay Together" of Al Green which became a huge hit in the US and Europe and became Tina’s comeback single. Tina could no longer be denied. Tina performed the song in a tv programm called Countdown and there seems to be another video of the song during a concert in 1982. The song was released as a 7" single and there are multiple versions of it. However the B-side was the instrumental mix of the song. 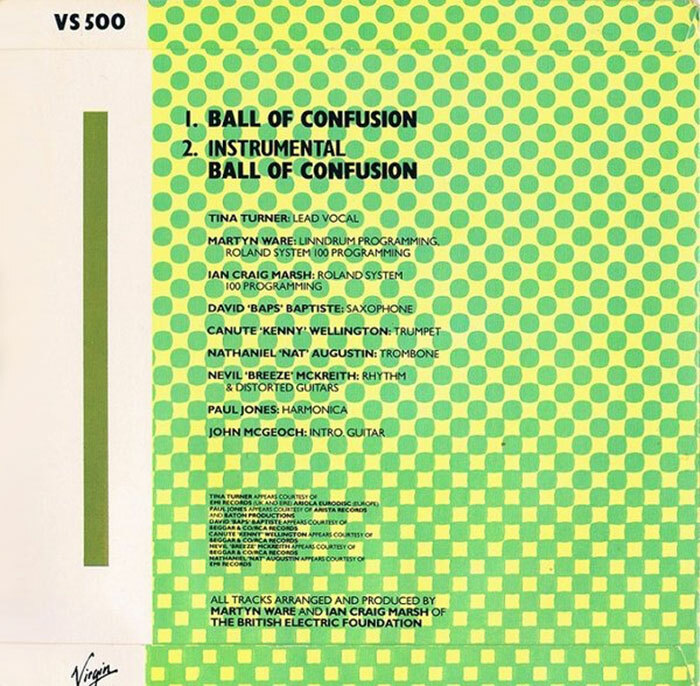 "Ball Of Confusion" was included on her compilation set "The Collected Recordings" in 1994. Later it was also included on her "Private Dancer 30th Anniversary Edition" in 2015. People all over the world are shouting, "End the war"
"Ball Of Confusion" (Instrumental) - 3.50 min.